and somehow cutting the back of the headlight housing to fit. This does not seem to be the most elegant solution, and has it's own problems when it comes to hi-lo and oncoming traffic being blinded. and wire some of them to high and some to low, but I don't think I get the distance lighting. No, it's still stupid. I could weld my wheels on if I stripped/broke a lug, but it's still stupid even though it works. Why not take it apart and add one or two HID projectors? You could remove the reflective coating and paint the backing black. Last edited by Just_Nick; 06-11-2016 at 11:20 AM. 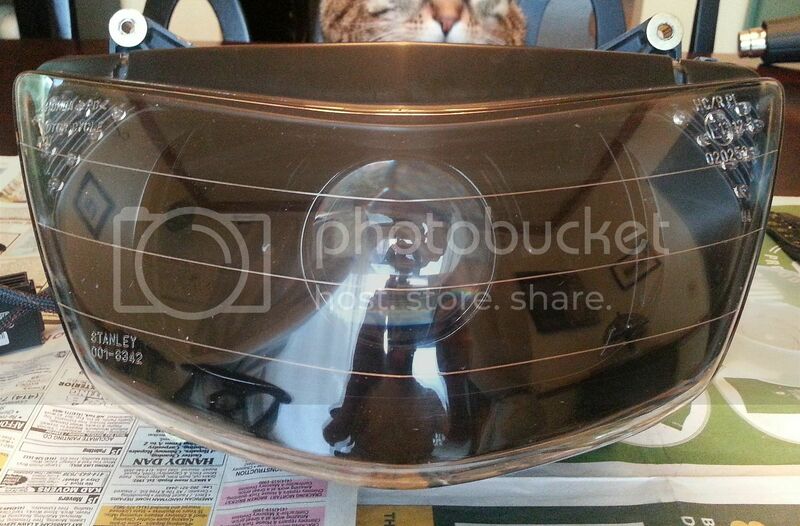 I see OE headlights in good used condition on ebay for under 100 bucks all the time. Okay that looks awesome, don't misunderstand my comment about stupid, think of it as a poorly placed to Signature rather than an invitation for stupid comments. Back to that headlight though, that is awesome. I don't think I'm opposed to hid, I was just more thinking that led was the new hotness. But mostly I just want to be able to see at night. Last edited by barrysuperhawk; 06-12-2016 at 10:25 AM. Sorry, I was under the impression your current light was damaged by the reflective coating coming off. I wasn't aware that it was not working for you even when new. The biggest part of my problem is that the reflector inside my headlight is trash. About half of the shiny coating has come off. mostly on the bottom, so my low beam is currently brighter than the high. I don't think LEDs are there yet. They might be cool for turn signals and taillights, but their jobs are very different than a headlight. 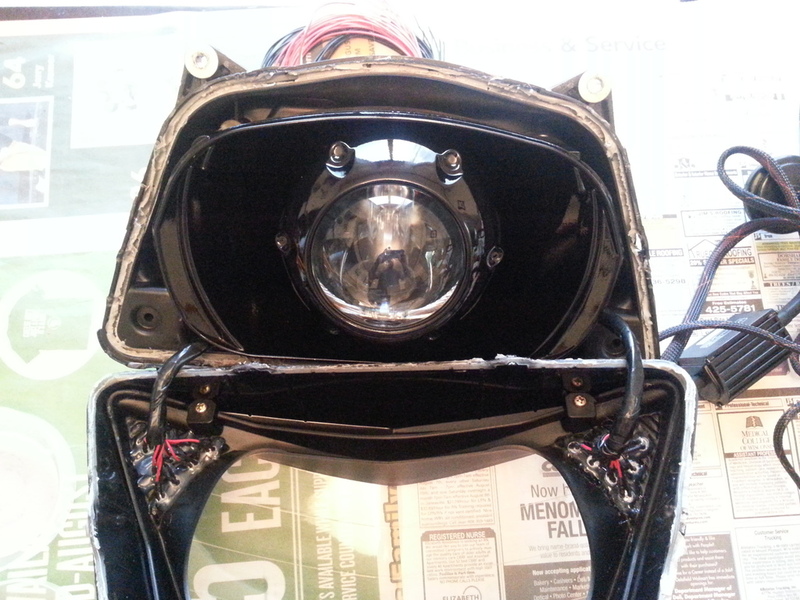 HID is a great option for a headlight if you are moving away from stock setup. It seems that since I need to replace or repair my headlight anyway, I can go back to stock, which is easiest but was never particularly bright, or I can improve with LED/HID/something else. I would dearly love to have a much brighter solution out front. If your reflector is failing, then buy a HID from https://www.theretrofitsource.com/ It is not that expensive and very easy to do. It is almost plug & play. There are installations done on this forum. All you need to do is use the search function. Pretty much any question you have, you can ask in the search bar and get an answer. Here's a couple of pics of what is going on. If your reflector is failing, then buy a HID. It is not that expensive and very easy to do. It is almost plug & play. .
Do they sell replacement reflectors? 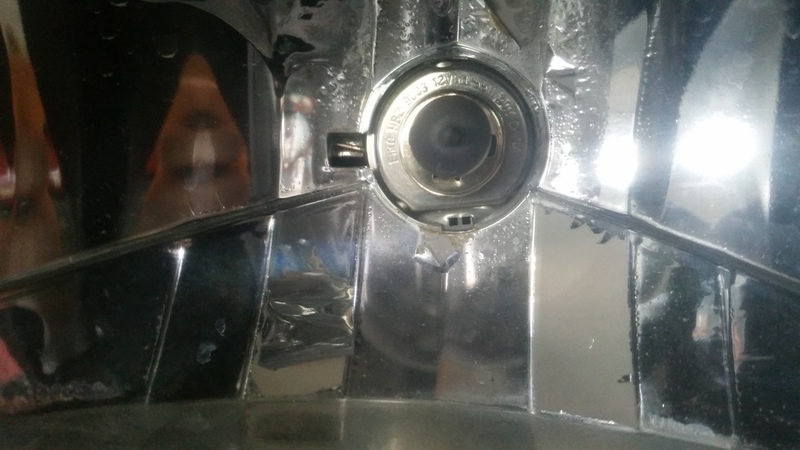 If the reflective layer is bubbling or pealing and failing, a replacement bulb, be it HID or conventional or LED, will not fix the main issue here. I say replace it or do the projector mod. 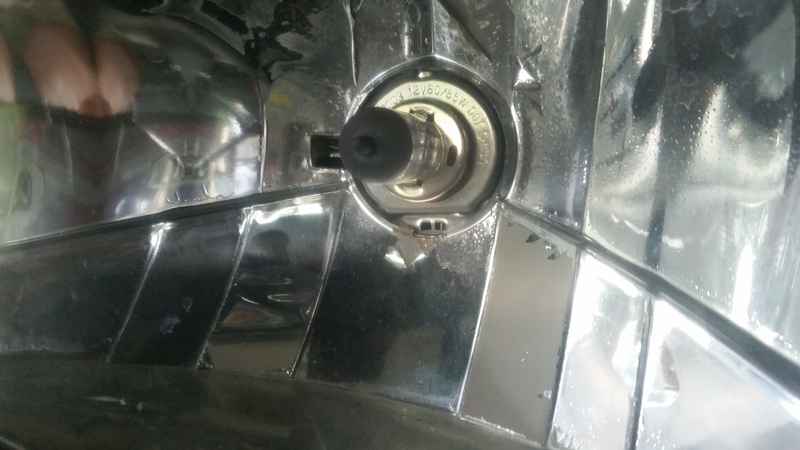 fiitting a new brake master cylinder to improve braking ? Quick Reply: Improve my lighting.